Solve any wireless connection problem in Windows 10 easily. 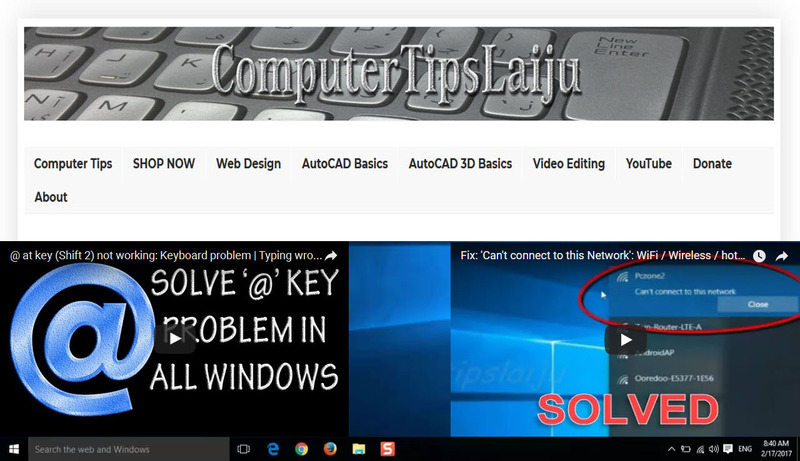 Subscribe Computertipslaiju for more videos..
Windows 10 sometimes shows an error message 'can't connect to this network'. Windows 10 store the history of connected wifi networks. It also keep the password of each network. If you changed the WiFi network password, then you cannot re enter the new password. computer will try to connect using the old password which is stored on its history. To sole this problem you have to clear the saved network history from the network settings manage known networks.